Completely uninstall applications installed on your system! 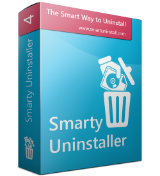 Smarty Uninstaller Standard 4.8.1 was available as a giveaway on November 6, 2018! How would you improve Smarty Uninstaller Standard 4.8.1? To Smarty-Uninstaller promoters: Could you please tell me why there's an $11.00 difference in price for Canadians? From $24.99 advertised here on GOTD to $35.92 on your web page. Expecting a prompt answer, thank you in advance. It says it can "Move applications without reinstalling" but I can't find that option ? This implies moving the application to another location on the same system, not to another system. To do this just right click and application and select "Move". Mads, This implies moving the application to another location on the same system, not to another system. To do this just right click and application and select "Move". The only "move" option I can find is "Move to group", which is completely different to moving the installation location...? Matthew P, The only "move" option I can find is "Move to group", which is completely different to moving the installation location...? For me, Move Application appears under Create New Group, which is just under the Move to group option you're referring to. The selection is not available for Microsoft store apps I've found. I'm running windows 10 x64. Perhaps it's not available for different OS? MinMin, For me, Move Application appears under Create New Group, which is just under the Move to group option you're referring to. The selection is not available for Microsoft store apps I've found. I'm running windows 10 x64. Perhaps it's not available for different OS? I think uninstallers are good in general. I'm not completely sold on the monitored installs. I would think if you immediately uninstall a program, the monitoring would be useful. However what about uninstalling it at a later date? Sure there are snap shots to uninstall the program but won't there be some impact on the programs installed after the monitoring? Also why not just use a program like Time Freeze, Shadow Defender, etc. You can try a program to see how well you like it. If you like it, you can leave it installed. If you don't like it, you can merely reboot and be back where you started. I think uninstallers are good in general. I'm not completely sold on the monitored installs. I would think if you immediately uninstall a program, the monitoring would be useful. However what about uninstalling it at a later date? Sure there are snap shots to uninstall the program but won't there be some impact on the programs installed after the monitoring? Also why not just use a program like Time Freeze, Shadow Defender, etc. You can try a program to see how well you like it. If you like it, you can leave it installed. If you don't like it, you can merely reboot and be back where you started. This one works fine...still prefer Revo. And what is with all the little whiners again ? Mothman, Yep you can take time out to read instructions and go round the houses and manually delete stuff to uninstall or use an uninstaller to do it in half the time. But an unistaller which will do it has got to be better than following instructions. BTW calling asking for advice whining is rather arrogant don't you think and why do you think adding the word "little" is useful do you look down on little people and up to bigger ones? I have Standard v.4.8 from a giveaway here in February 2018. Does anyone know the differences between v.4.8 and v.4.8.1? The changelog on the product site does not list v.4.8.1 (the last four versions it lists are v.4.7, v.4.7.1, v.4.8, and v.4.9). Also, calling it Standard implies there are other versions. I can't find mention of any alternatives - am I missing something? I have found myself using it more and and more. 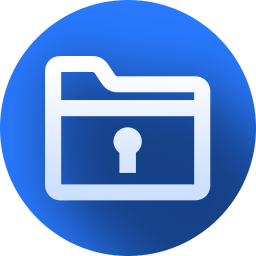 It works as well as any other uninstaller, from monitoring installations to removing leftover traces, and it's quite feature rich even beyond that. A couple of useful features I haven't seen elsewhere are creating your own groups, and adding comments to entries. Thanks to the dev and GAOTD. I have Standard v.4.8 from a giveaway here in February 2018. Does anyone know the differences between v.4.8 and v.4.8.1? The changelog on the product site does not list v.4.8.1 (the last four versions it lists are v.4.7, v.4.7.1, v.4.8, and v.4.9). Also, calling it Standard implies there are other versions. I can't find mention of any alternatives - am I missing something? I have found myself using it more and and more. 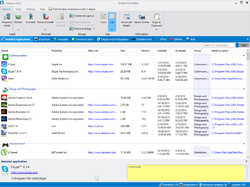 It works as well as any other uninstaller, from monitoring installations to removing leftover traces, and it's quite feature rich even beyond that. A couple of useful features I haven't seen elsewhere are creating your own groups, and adding comments to entries. Thanks to the dev and GAOTD. Just looking at features, there's one thing this program does better than Revo : it can change or repair an installation. This is probably just the equivalent of Windows' own uninstaller, and depends on the program's installer to provide it -- very few programs do. Microsoft Office is one of them. But Revo does not have that feature after all those years, which is stupid, sorry for being frank. It's stupid to force your paying users (my case) to go back to the lesser Windows equivalent to do something that is provided by the installed program. Just looking at features, there's one thing this program does better than Revo : it can change or repair an installation. This is probably just the equivalent of Windows' own uninstaller, and depends on the program's installer to provide it -- very few programs do. Microsoft Office is one of them. But Revo does not have that feature after all those years, which is stupid, sorry for being frank. It's stupid to force your paying users (my case) to go back to the lesser Windows equivalent to do something that is provided by the installed program. 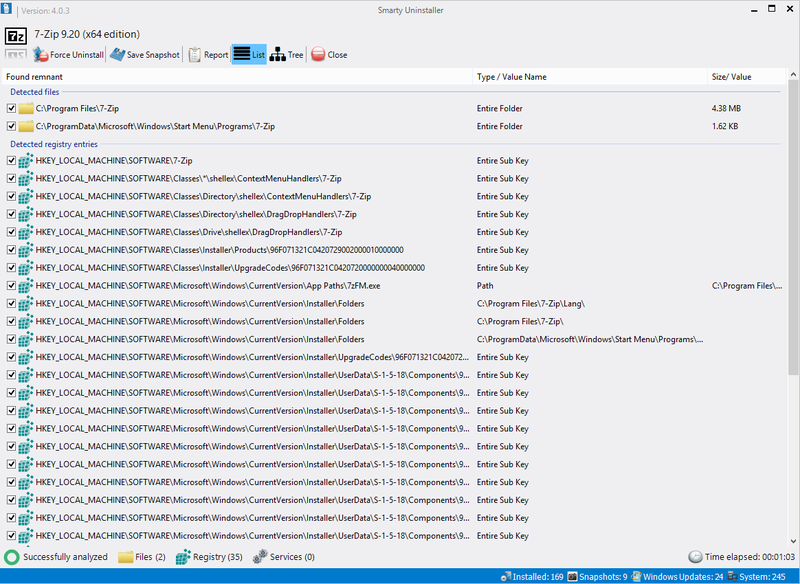 Yes, some programs offer [ Repair ] in the Windows [ Programs and Features ] [ Control Panel ]. I find the same mismatch with supplemental services tweakers that are simply on or off, ins embarrassingly incomplete comparison to Windows [ Services] [ Control Panel ] has 4 or more different "on" settings.
. [ Clairvaux ], Yes, some programs offer [ Repair ] in the Windows [ Programs and Features ] [ Control Panel ]. 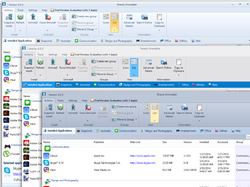 I find the same mismatch with supplemental services tweakers that are simply on or off, ins embarrassingly incomplete comparison to Windows [ Services] [ Control Panel ] has 4 or more different "on" settings. .
Its all ok. Just Avast! Managed to download, install and register without any problems on Win 10. Seems to do a good enough job of uninstalling and cleaning up the residual files, my only gripe is that when started it takes a couple of minutes to find all the software installed, uninstalling and cleanup is fairly quick. Not sure if I'd pay $24.99 this, would consider buying if was about half the current asking price. Tranmontane, Strange how people get completely differing experiences on the same web page. Im trying to understand what you are saying because " the "link" to download the file" is the big green sign saying "DOWNLOAD NOW" above. At what point do you get asked for an email address? Luckily once registered with GAOTD I only ever get asked for it (having clicked on the link) if I refuse to post / promote them on facebook (a small price to pay I think). Zen, and D Murphy -- I also refuse to use Facebook. But to answer D. Murphy first -- I just click on the big green button, above, as usual. But NOT as usual, it then goes to a page demanding you choose between Facebook or fill in a form with your email address -- which I have often had to do! I have been a regular at GOTD for a long time, I supply an email address, and I don't have any problem to download software. I don't have a Facebook account. What makes you think you can't change your email ? What happens is, you give an email, then they send an email at that address to check it, with the download link. Use a separate email from your personal or professional one, if you want. That's what I do, and it works a charm. I have hundreds of email addresses. I store them in a password manager. It's a breeze. Tranmontane, I have been a regular at GOTD for a long time, I supply an email address, and I don't have any problem to download software. I don't have a Facebook account. What makes you think you can't change your email ? What happens is, you give an email, then they send an email at that address to check it, with the download link. Use a separate email from your personal or professional one, if you want. That's what I do, and it works a charm. I have hundreds of email addresses. I store them in a password manager. It's a breeze. Tranmontane, I understand what your issue is. You fill in the wrong email address, then when you attempt to redo the process, the email-option is no longer available. What you have to do is to close the tab, then clear your cookies. Once you return to GOTD, you will be allowed to repeat the process. Hope this helps. Tranmontane, I understand what your issue is. You fill in the wrong email address, then when you attempt to redo the process, the email-option is no longer available. What you have to do is to close the tab, then clear your cookies. Once you return to GOTD, you will be allowed to repeat the process. Hope this helps. Tranmontane, if you refresh the page AFTER requesting a personalised download link via an email you should be able to re-request a new personalised download link with another email address in my experience. Of course things may have changed since I last treid that... your mileage may vary. For about the 5th or 6th time now, whereas before one could directly download the days offering from this page, I am finding that I need to enter my email address again (and again). I wouldn't mind so much -- but doing that does NOT get the "link" to download the file! So what is this? Is the link EVER going to arrive? Or will it indeed arrive too darn LATE to be able to download the programme anyway? GOTD ought to get on to this -- it is bad enough to have to jump through additional hoops to get the offered programme -- but when you don't even GET it (ever), it is a bit beyond a joke. And this applies to BOTH of today's offerings. Anyone else having these sorts of problems? More, (other than trying a different email address, maybe) has anyone got any solutions? For about the 5th or 6th time now, whereas before one could directly download the days offering from this page, I am finding that I need to enter my email address again (and again). I wouldn't mind so much -- but doing that does NOT get the "link" to download the file! And no, it is NOT in the JUNK mail folder.... So what is this? Is the link EVER going to arrive? Or will it indeed arrive too darn LATE to be able to download the programme anyway? GOTD ought to get on to this -- it is bad enough to have to jump through additional hoops to get the offered programme -- but when you don't even GET it (ever), it is a bit beyond a joke. And this applies to BOTH of today's offerings. Anyone else having these sorts of problems? More, (other than trying a different email address, maybe) has anyone got any solutions? jim, Thanks for your suggestion... but er, no. I would have liked for you to be right, but no, it seems it could be either GOTD's or the sponsor's fault. I suspect GOTD, because this is a relatively new way of collecting the download -- and often it simply isn't working. When it HAS been working, you see a pop-up message at the bottom RHS of the screen (three times) saying "Click to download" -- and THAT works! Yes me too sometimes when i entered my emailadress there are no "response" eg no mail with a link. tomcat, uninstallers don't work 100% because Windows is a nightmare and uses registry, dll's and on and on of junk under the hood. ... and UPDATES the uninstaller routing whenever any installed program is updated. If Smarty Uninstaller wants useful feedback, they can learn from your comment and mine, and next time offer a version for us to test that includes such a COMPLETE UNINSTALL BATCH FILE CREATION feature.
. [ tomcat ], And sadly NO uninstall monitor I've ever seen watches and offers a COMPLETE UNINSTALL BATCH FILE CREATION that can be run independently, completely reversing any monitored installation routine, but only creating their own proprietary enhanced uninstall routine that you must run from within their fully installed uninstall program ... ... and UPDATES the uninstaller routing whenever any installed program is updated. If Smarty Uninstaller wants useful feedback, they can learn from your comment and mine, and next time offer a version for us to test that includes such a COMPLETE UNINSTALL BATCH FILE CREATION feature. . I don't see how Smarty Uninstaller Standard 4.8.1 could possibly be better than grand ol' Revo Uninstaller which has been around for a long time and does a superior & safe job of COMPLETELY uninstalling software (as well as including other handy utilities). Plus Revo costs about the same as Smarty. I pass. 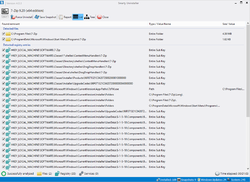 Preston Mitchell, In line with my other post I just checked and as far as I can tell the most up to date free portable version of revo (2.0.5) does not uninstall apps that are a compulsory part of windows 10 upgrades like the Money and My Office apps. This offering does. 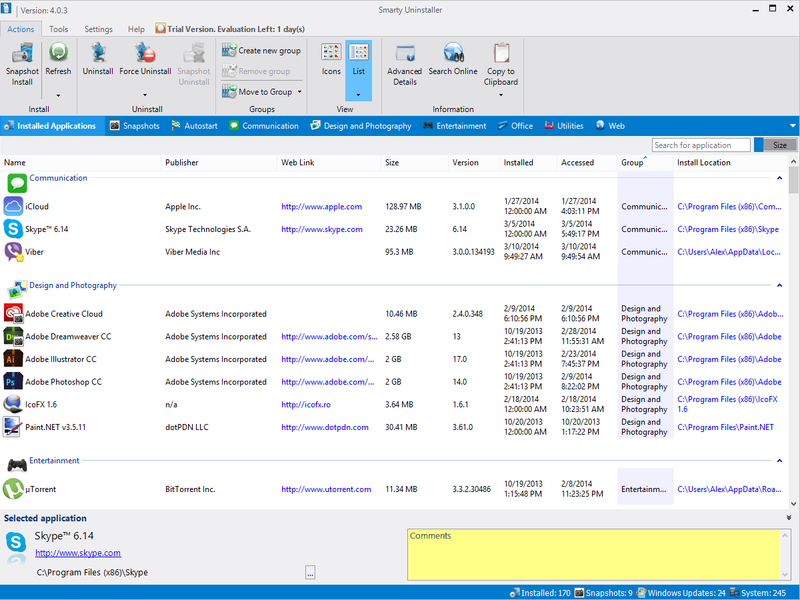 D Murphy, They can be uninstalled, but will be returned in the next major Windows update. Don't bother. I believe Preston Mitchell was talking about Revo Uninstaller Pro (cost = $24.95) not the free version. It has the same 1 year of updates, but lifetime support, and after that you can still use it but no more updates unless you subscribe again, same offer as Smarty Uninstaller Standard you see here. I use Revo Pro and I, absolutely love it. 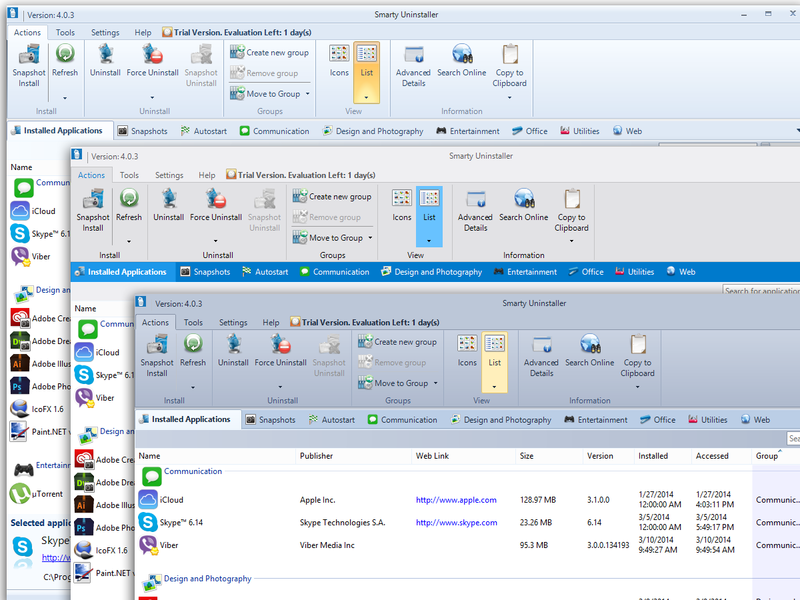 D Murphy, I believe Preston Mitchell was talking about Revo Uninstaller Pro (cost = $24.95) not the free version. It has the same 1 year of updates, but lifetime support, and after that you can still use it but no more updates unless you subscribe again, same offer as Smarty Uninstaller Standard you see here. I use Revo Pro and I, absolutely love it. There's now version 4.9 Pro, as compared to 4.8 Standard offered here. Though the homepage gives the changelog of the new version 4.9 from the previous 4.8, it doesn't seem to list the differences between the Pro and the Standard versions. There's now version 4.9 Pro, as compared to 4.8 Standard offered here. Though the homepage gives the changelog of the new version 4.9 from the previous 4.8, it doesn't seem to list the differences between the Pro and the Standard versions.